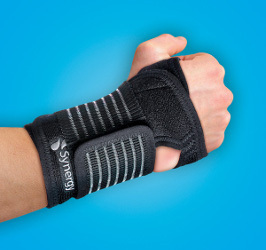 Wrist support has two metal stays with added thumb support . 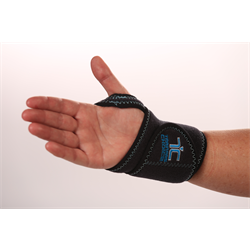 Provides a neutral resting position for the wrist and thumb. Wrist support with two ridgid metal stays. 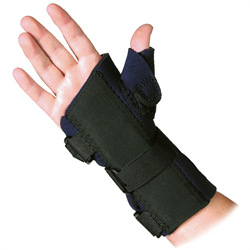 Provides a neutral resting position for the wrist making it ideal as a night splint for carpal tunnel syndrome. Helps reduce swelling. Promotes warmth. 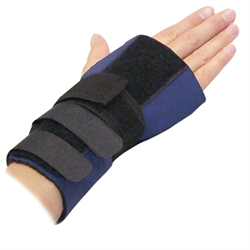 Helps minimize discomfort from strains and sprains. 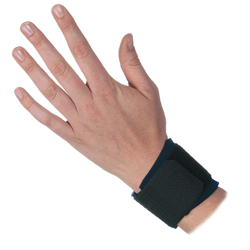 Wrist support with single metal stay. 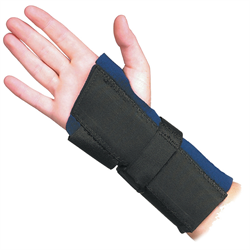 Supports the wrist while minimizing wrist flexion. Can be worn on left or right hand.